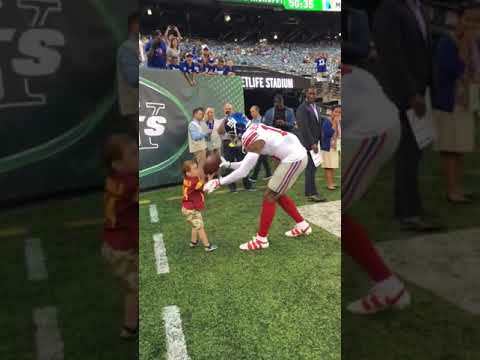 A video of New York Giants wide receiver Odell Beckham Jr. playing catch with a 3-year-old Jets fan from Bergen County is making its way around the world. Cole Perrapato and his Washington Township family were on the field at MetLife Stadium during warm-ups before Friday night's 22-16 Giants pre-season win. Cole began dancing near the end zone when his father, Matthew, noticed Beckham waving at the toddler. OBJ threw the ball from 10 feet away, but Cole dropped and then tripped over it. Beckham ran over, lifted him up and tried again. "I was always lukewarm toward Odell," said the elder Perrapato, a Hasbrouck Heights native and principal of Roosevelt Elementary School in Ridgefield Park. "But that night he won me over. "He took it upon himself to come over and have a catch with my son. He couldn't have been nicer." The Giants posted the video on Facebook, where it garnered more than 104,000 views and 1,000 shares as of Saturday morning. Perrapato's father-in-law -- a lifelong Giants fan -- died four years ago. He and his wife's side of the family have long had a friendly rivalry going over the teams and attended Friday night's pre-season "Snoopy Bowl" together. "This time, they won the leg of the battle," Perrapato said. "I'll be quietly rooting for the Giants as well." 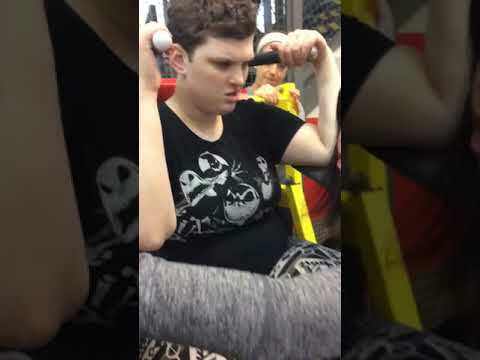 As for Cole? He's just happy to have played a game of catch with "the best player in the world," his father said.